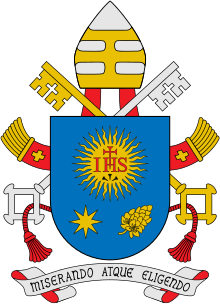 Pape Frauncis (Laitin: Franciscus; Italian: Francesco; born Jorge Mario Bergoglio,[lower-alpha 1] 17 December 1936) is the current Pape. 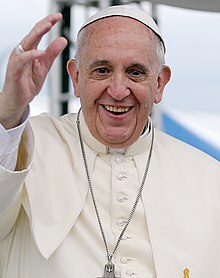 He becam Pape in Mairch 2013 efter the reteirement o Benedict XVI in Februar. This page wis last eeditit on 5 Apryle 2017, at 17:26.